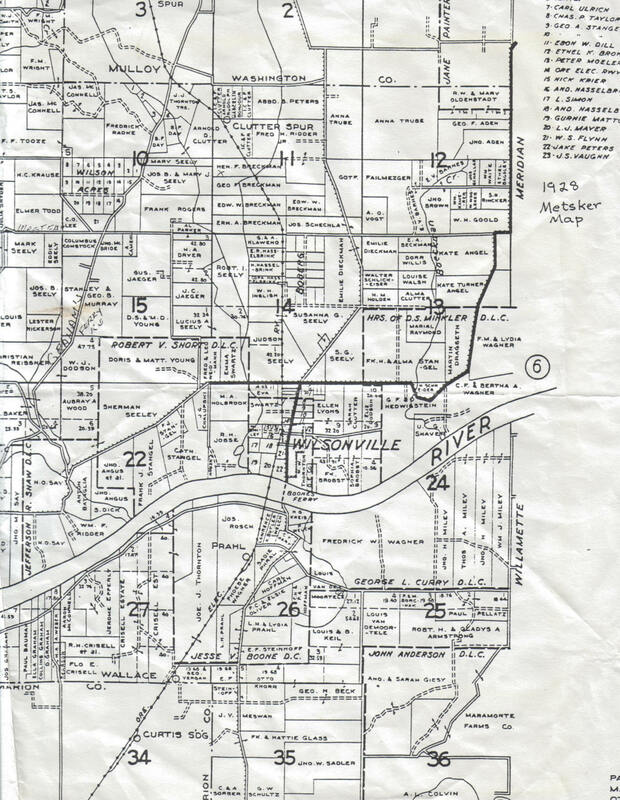 This 1928 map is of the area near Wilsonville. The cemetery is not on this map but is located in Section 9 of the adjacent map. Like most of these maps, spelling errors are common. Here "Breckman" should be "Boeckman". This map overlaps slightly with the 1928 West Section.